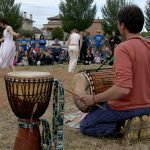 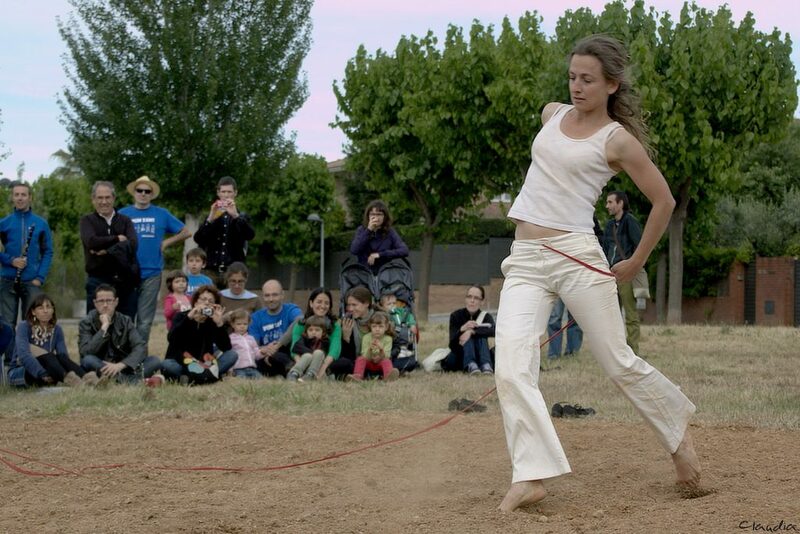 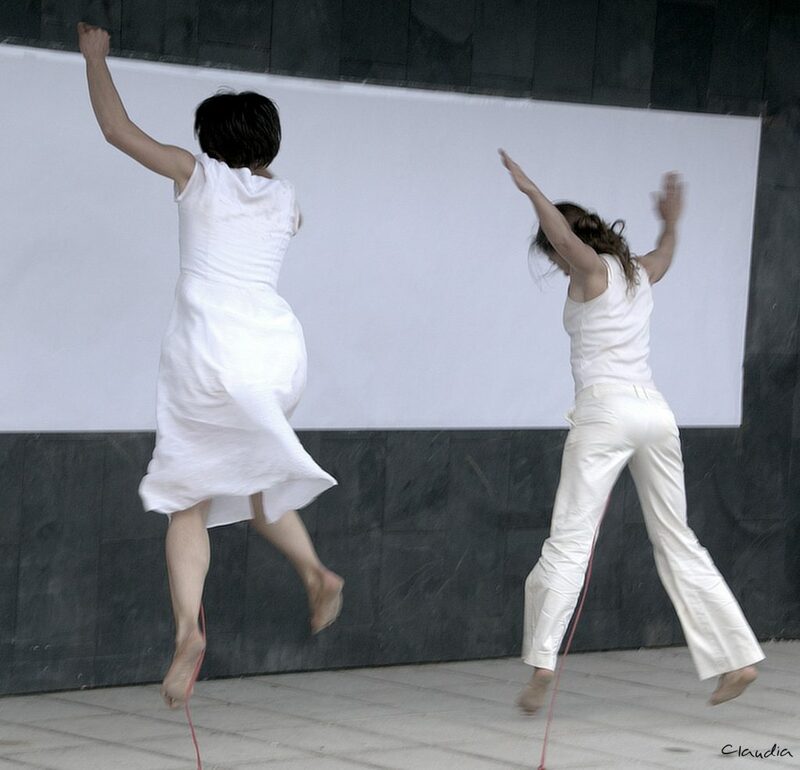 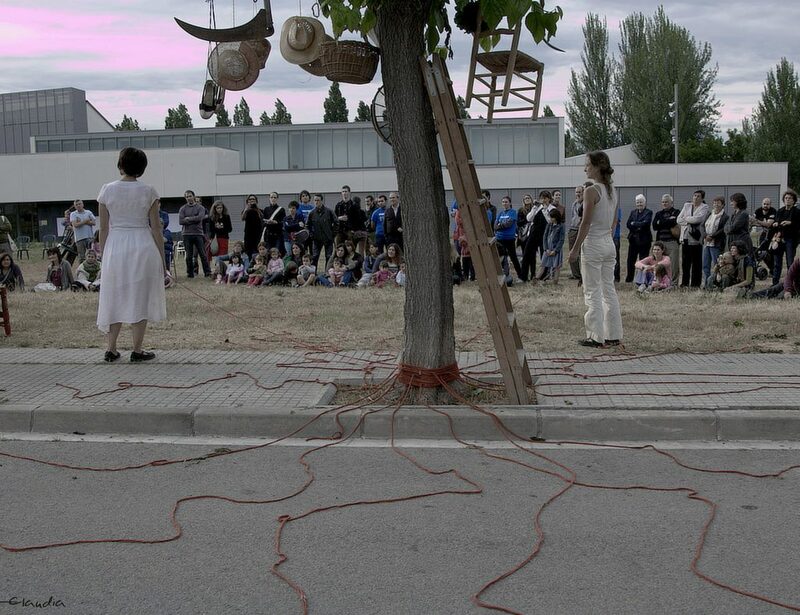 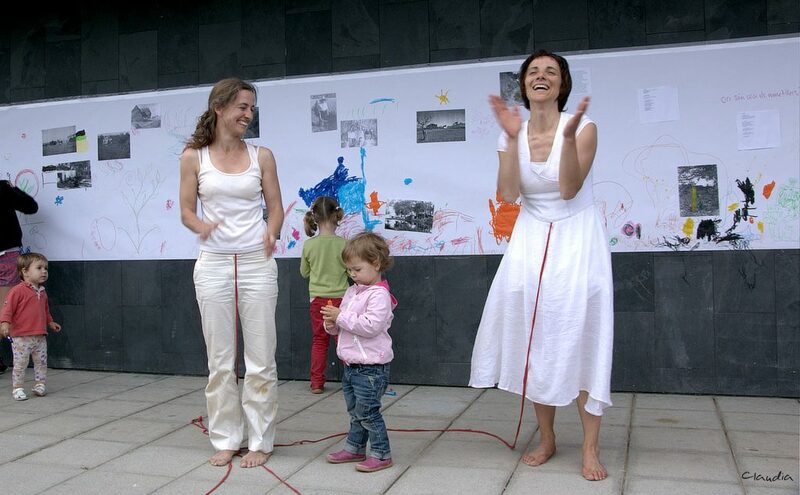 The Lawu Collective (Montse Marti and Anna Rubio) was selected to take part in the FesCamp project which finished on the 24th of February with a day’s festivities in the neighbourhood of Mirasol in the town of San Cugat, which aimed to show the role that art can play in highlighting environmental issues. 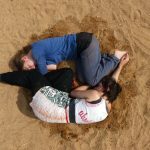 Lawu presented The Earth Moves Us, a piece involving the members of the Neighbourhood Association, with the principal theme being rural memory. 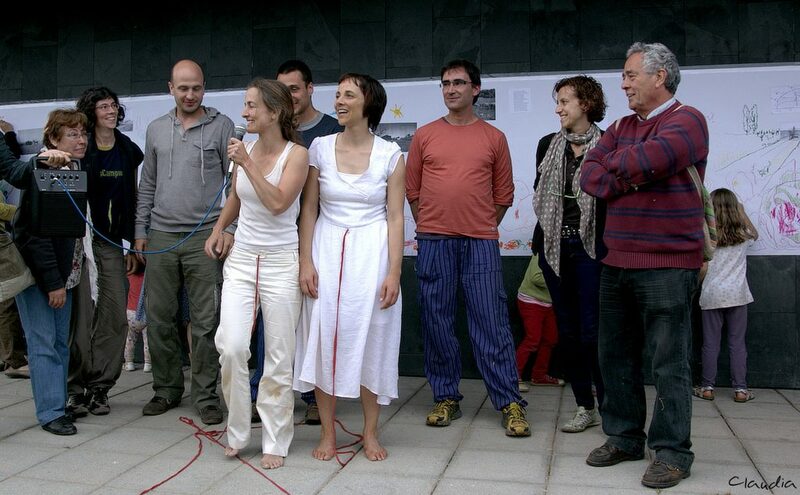 The idea was to offer the participants and spectators an opportunity to see the Mirasol neighbourhood from the perspective of its rural past, and to consider how working the earth in accord with the cycles of nature was, in a sense, a reflection of how we, as humans, are also part of the natural cycle. 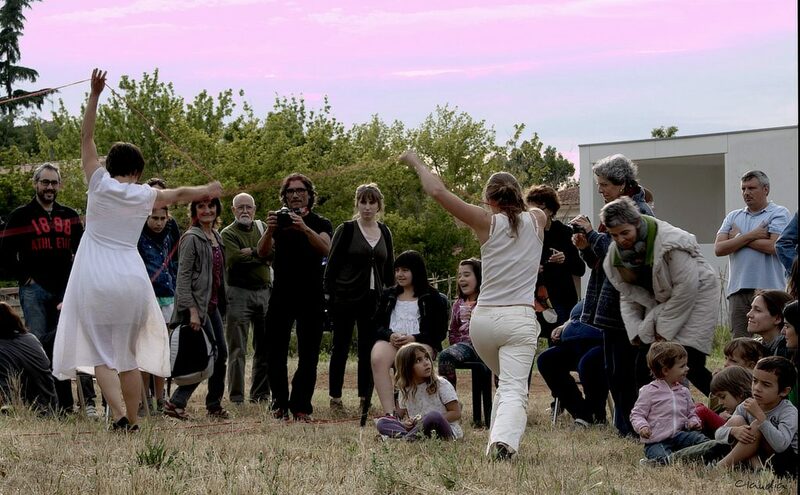 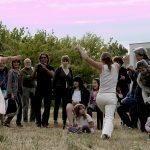 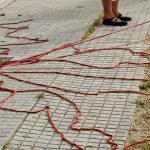 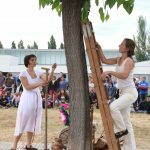 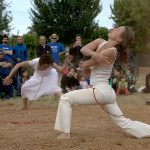 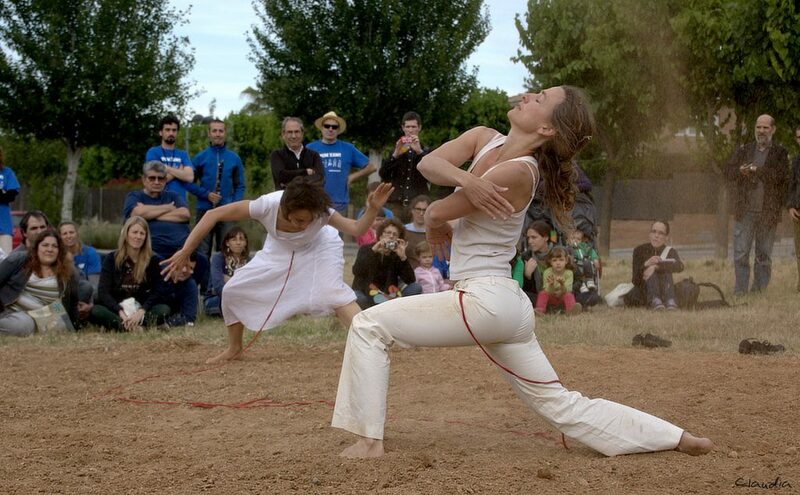 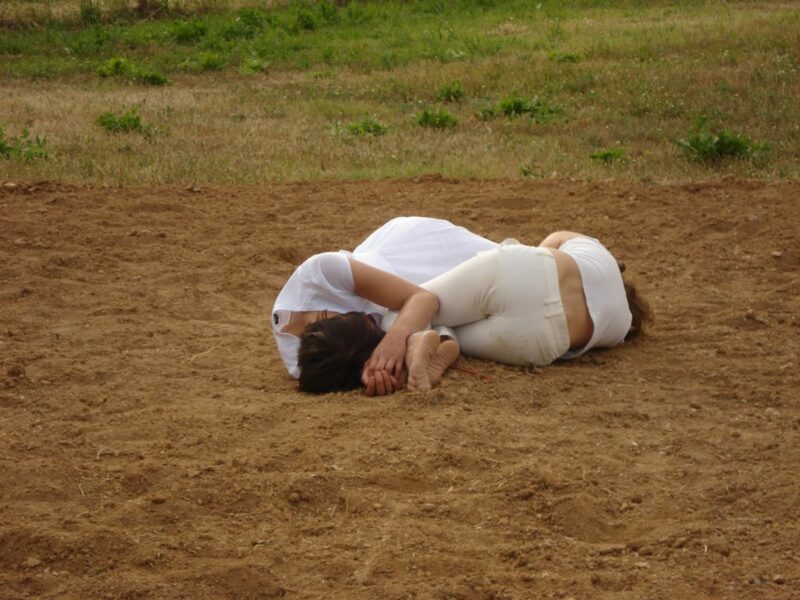 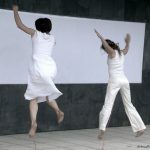 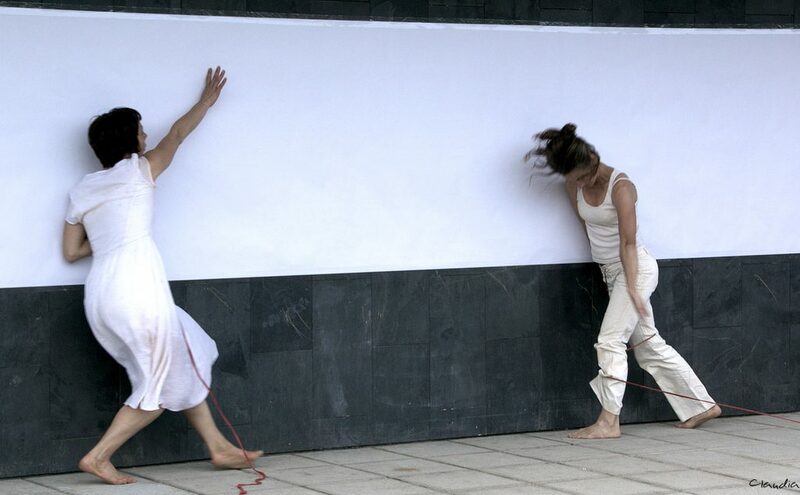 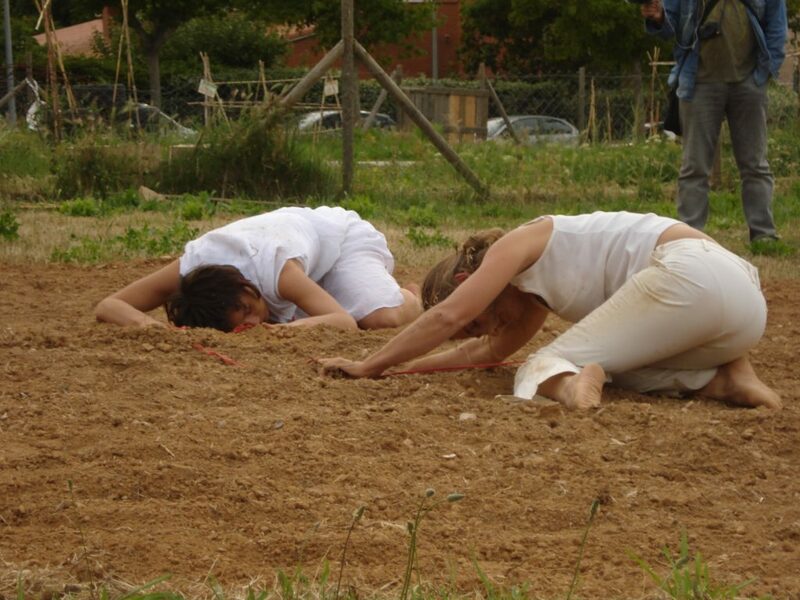 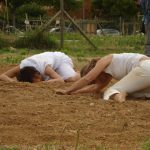 The performances, which took place outside the Mirasol Cultural Centre, in an area designated for urban gardens, sought to show how working the soil allows us to connect with our rural past, from the reality of our urban present. 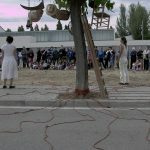 The ploughed circle represents our connection with the earth; the Tree of Memory with its roots is a reminder of the rural past; and the mural is something which we were able to create together, while being aware of and respecting the earth from which we all spring. 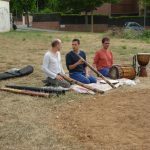 We sincerely thank the members of the Neighbourhood Association, and the musicians Moises, Manel and Xavi who accompanied our dance pieces. 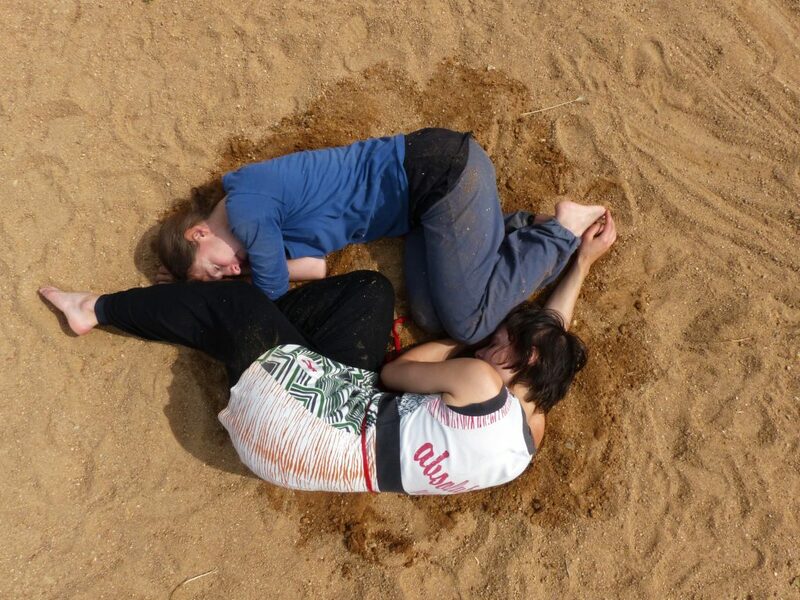 Let’s allow the earth to move us! 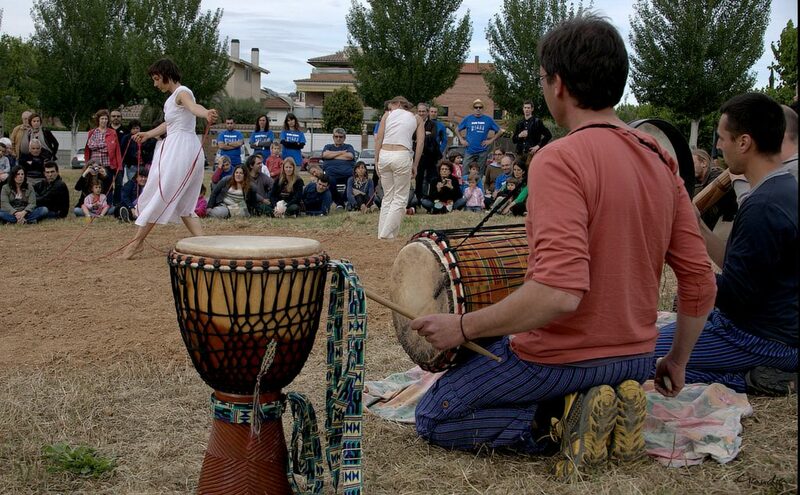 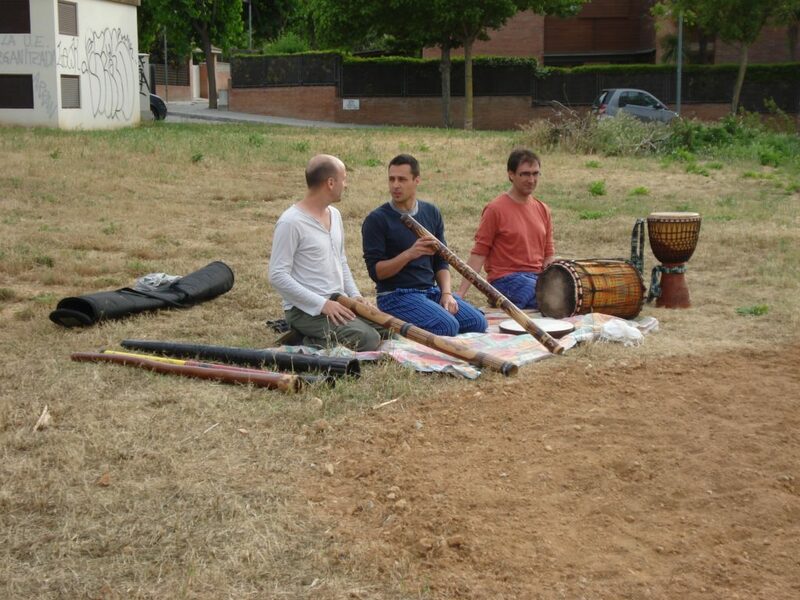 More information may be had at www.fescamp.cat and at El Diari de Sant Cugat. 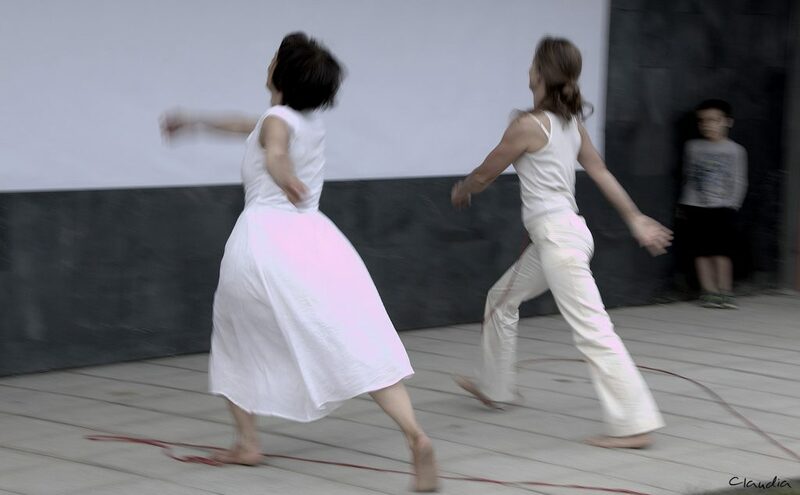 The Cabin and the Little Heart, Festival Hemnes 2014. 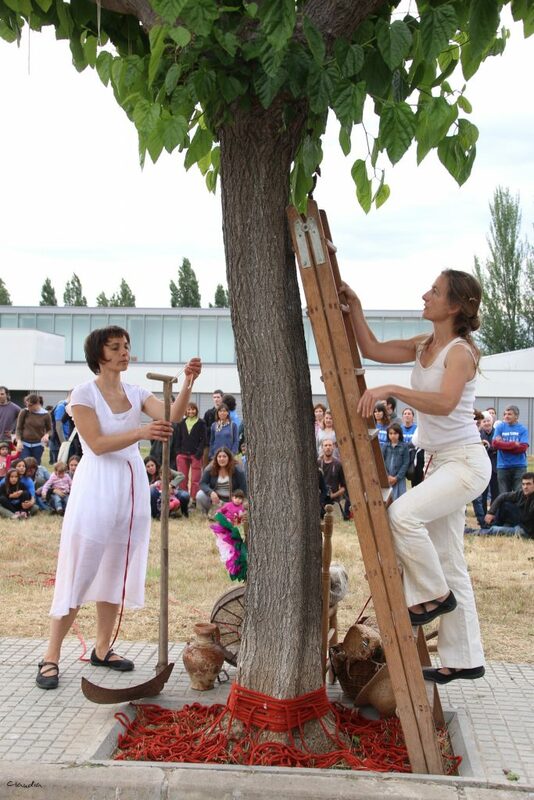 All the trees I met: Fagus, Abolosana Festival, Latvia, 2014 and 2015.